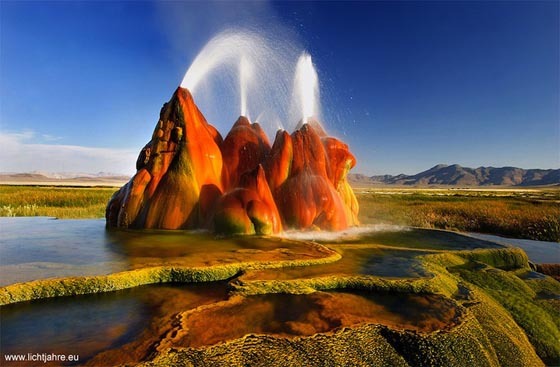 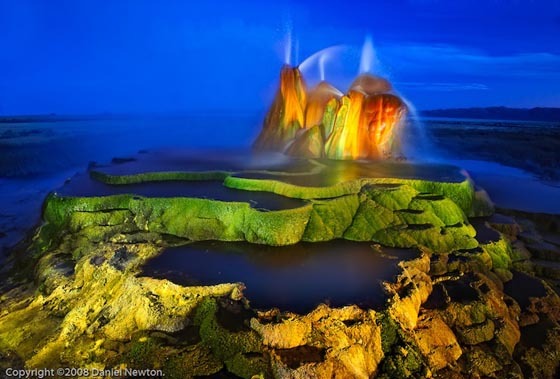 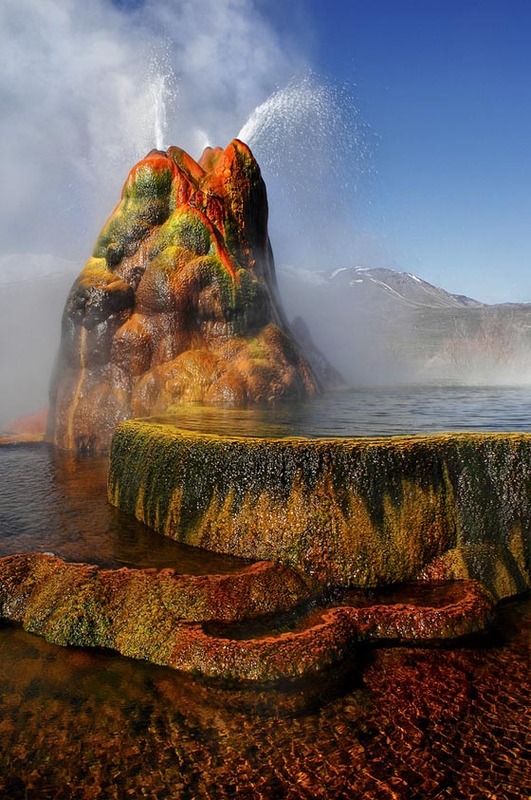 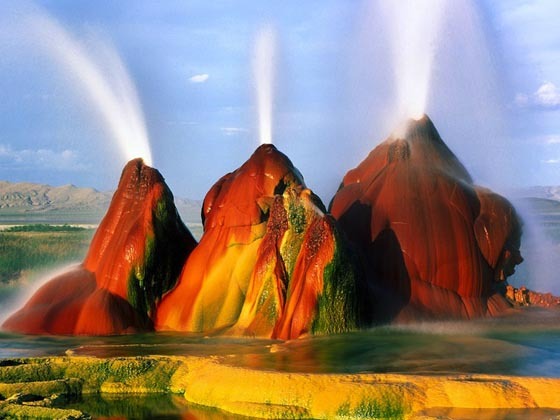 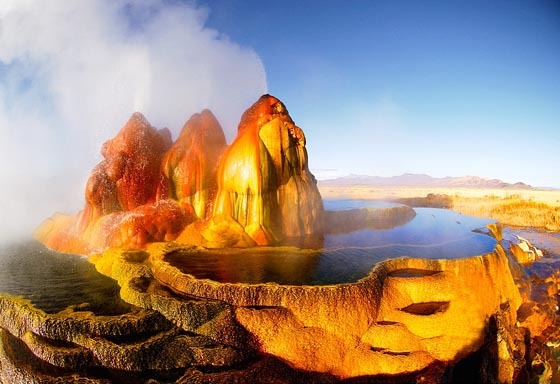 Fly Geyser (or Fly Ranch Geyser) is a a small geothermal geyser that is located approximately 20 miles north of Gerlach, in Washoe County, Nevada. 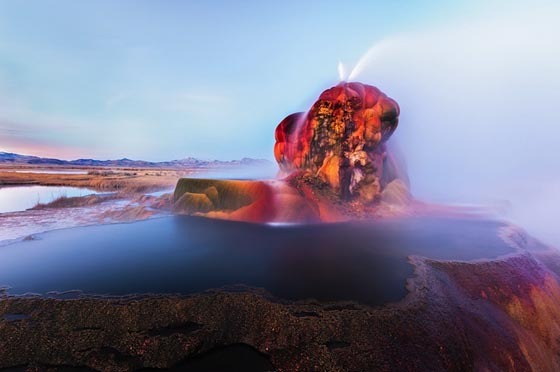 Accidentally created in 1916 during well drilling, it now perches on top a series of terraces around its mound, spraying hot waters high into the sky in the early morning hours. 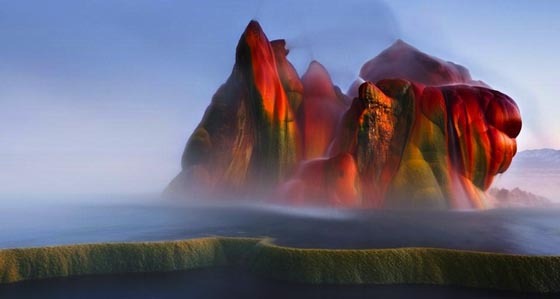 Its rainbow like colors caused by the thermophilic algae that thrive in moist and hot environment. 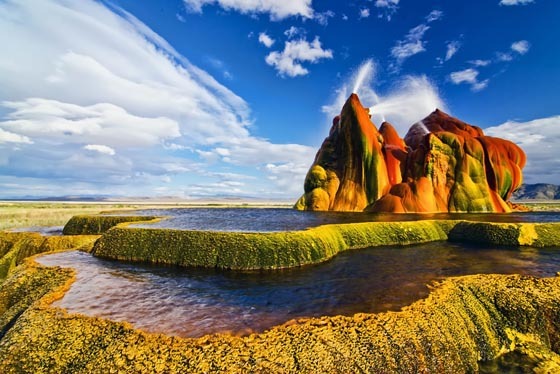 Sitting on private property and rarely open to the public, this beautiful place is a little-known tourist attraction even to Nevada residents. 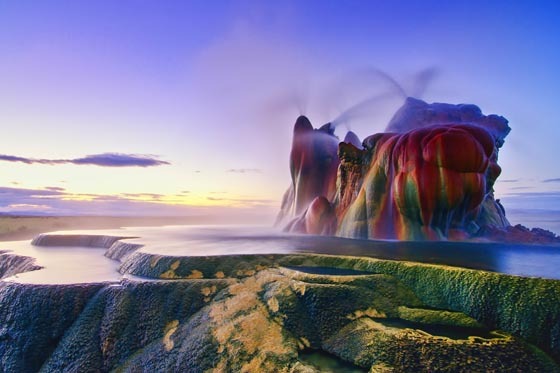 So for most of us, we probably can only see it on photos. 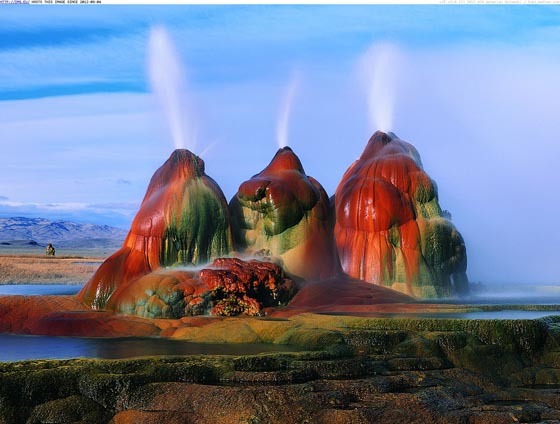 And for someone who ever have chance to visit it, please don’t forget to share more photos about this world’s most amazing places.